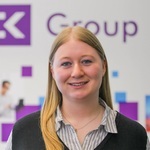 Sarah Farrow at CK Science is recruiting for a Colour Management Team Leader on behalf of a global coatings manufacturer at their site in County Durham on a permanent basis. You will be responsible for supervision of a team of colour technicians and administrators to ensure that deliverables are met relating to Colour Match Requests (CMRs) and Panel Presentations, providing technical support to customer complaints and deviation investigations and final sign off of reports. To be considered for the position you should be an experienced coatings professional, with experience of line management or supervision. Ideally you will have a background in colour management or have experience of working in a coatings laboratory. This is an excellent opportunity to join a global market leading organisation who offer exceptional career development and progression opportunities. For more information or to apply for the position, please contact Sarah Farrow on 0191 3848905 or sfarrow@ckscience.co.uk. Alternatively please click the link below to apply online now. If you do not hear back from us within 14 working days of your application for this role, it means that on this occasion you have not been short-listed for the next stage of the recruitment campaign. Entitlement to work in the EEA is essential. Please quote reference DH33187 in all correspondence.